The Honda Accord 2.2 i-DTEC is a great car but another that suffers from the notorious DPF issues on modern diesel cars. After many years of research in the technology behind the Honda DPF system we now offer a completely bespoke and custom DPF Removal service. The DPF on the Honda Accord is large in size and quite rightly sits directly after the turbocharger at the front of the engine and housed in a tin heat shield. It’s design is not one we can fault really because being directly connected to the turbocharger it will be subjected to maximum temperatures – however, the car itself is not designed for daily commercial/motorway use. It is a family/sports car and designed to be used as one. The more frequent local/short journeys is what causes the DPF’s to fail on these vehicles. Once the Honda Accord DPF system flags up a fault that the DPF is blocked, the car will require a regeneration. This can be done in one of two ways. Once the DPF regeneration is completed and successful, you will be able to reset the DPF light if not done automatically. However, unless you change your driving style the problem will persist – so before spending money doing forced regenerations, consider whether you will be changing your driving style to suit your vehicle or is maybe another option better for you? i.e. change your vehicle for a non-dpf model or have the DPF system professionally removed. Each time you carry out a forced regeneration, you will be damaging elements of the DPF filter which allow the DPF to self-clean. This means that the filter will be unable to carry out frequent regenerations and thus will block up quicker and quicker each time. Also, you will be putting a lot of strain on the injectors whilst carrying out forced regenerations as the injectors are required to squirt diesel post-cycle at high pressure for prolonged periods of time to increase the EGT’s (Exhaust Gas Temperatures) in order for a successful DPF Regeneration. When remapping the DPF out of the ECU we do things manually – not with automated softwares. We will download the data from your ECU and manually scan through the 1000’s of data strings to remove & modify all DPF related data strings. Some DPF data strings will be interlinked with other sensors such as EGT sensors (Exhaust Gas Temperature Sensors), EGR Valve (Exhaust Gas Recirculation), Lambda/o2/Oxygen Sensor and so on. Automated softwares will attempt to delete all data strings and by doing so, will delete partial sensor related data strings as well causing data corruption which may not always be apparent immediately after having the DPF removed. In fact, you may not realise there are problems for up to 250 miles until the ECU stores a permanent fault code and shuts down in to SAFE MODE (Limp Home Mode). We only offer DPF removals with a 100% success rate, a life time software warranty and a guaranteed MOT pass thanks to our Smoke-Correction Service. To find out more about our smoke-correction service, please check out our smoke-correction article. For bookings & more information, call us today on 0844 847 9999 or email us. Tags : Help With Honda Accord 2.2 i-DTEC DPF Problems, Honda Accord 2.2 i-DTEC De-DPF, Honda Accord 2.2 i-DTEC DPF Failure Help, Honda Accord 2.2 i-DTEC DPF Fix, Honda Accord 2.2 i-DTEC DPF Fixed, Honda Accord 2.2 i-DTEC DPF Help, Honda Accord 2.2 i-DTEC DPF Off, Honda Accord 2.2 i-DTEC DPF Problems, Honda Accord 2.2 i-DTEC DPF Regen, Honda Accord 2.2 i-DTEC DPF Regeneration, Honda Accord 2.2 i-DTEC DPF Removal Mot, Honda Accord 2.2 i-DTEC DPF Removal Procedure, Honda Accord 2.2 i-DTEC DPF Removal Remap, Honda Accord 2.2 i-DTEC DPF Removal Session, Honda Accord 2.2 i-DTEC DPF Removal Solution, Honda Accord 2.2 i-DTEC DPF Solution, Honda Accord 2.2 i-DTEC DPF Solutions, Honda Accord 2.2 i-DTEC P2002 Fault Code Fixed By Sinspeed, Honda DPF, Honda DPF Problems, Honda DPF Removals, Honda DPF Repairs, Honda DPF's, How To Remove Honda Accord 2.2 i-DTEC DPF, P2002 DPF Failure - Best Solution From Sinspeed, P2002 Fault Code Solution For Honda By sinspeed, Removing Honda Accord 2.2 i-DTEC DPF, Removing Honda DPF, Replacement DPF For Honda Accord 2.2 i-DTEC. ← Nissan Navara 2.5TD DCi DPF Removal Service!! Hi could you send me a quote to remove the dPF in my 2.2exec Tourer. can i please get a wuote for honda accord 2009 dpf removal and ecu modification please. Kindly send me a quote for removing the dpf filter from my Accord 2.2 i-DTEC Tourer. Following an EGR pipe issue with smoke leak in engine bay, I would like to blank my EGR and have my ECU remapped (mandatory on this model). 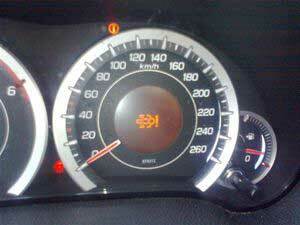 My car is a Honda Accord Diesel i-dtec 150hp (RE09***). Would you be able to provide me a quote and an estimate turnaround time (with earliest appointment)? The EGR should not be deleted without removal of the DPF, otherwise, it will cause premature failure of the DPF and may potentially go on to damage the turbocharger, injectors and the engine. 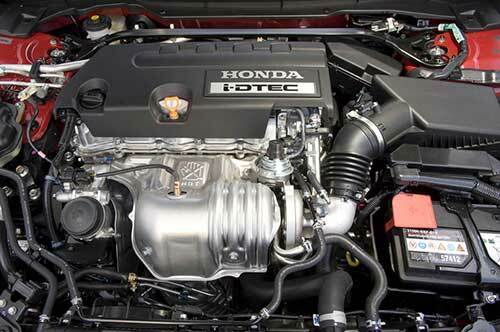 We can offer a package to remove the EGR + DPF together, which is a popular choice on the Honda Accord i-DTEC. I have sent you an email, please respond with your postal code for a customised quotation. can i please get a quote for 2.2 honda accord 2009 dpf removal and ecu modification please. We have sent you an email with full information and pricing for the DPF Removal to your Honda in SG6 (Letchworth, Hitchin, Baldock, Stotfold). I have sent you an email, kindly respond with your postal code and vehicle registration for a customised quotation.